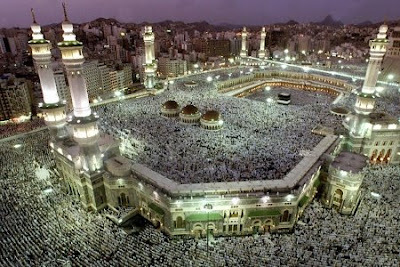 Al-Masjid al-Haram in Saudi Arabia, is the holiest mosque in the world and the main destination of the Hajj pilgrimage. It is also known as Masjid al-Haram, al-Haram Mosque, Haram al-Sharif, Masjid al-Sharif. It covers an area of 356,800 square meters and can accommodate up to 820,000 worshippers during the Hajj. It is the only mosque that has no qibla direction as Muslims pray facing the Ka'ba in the central courtyard.